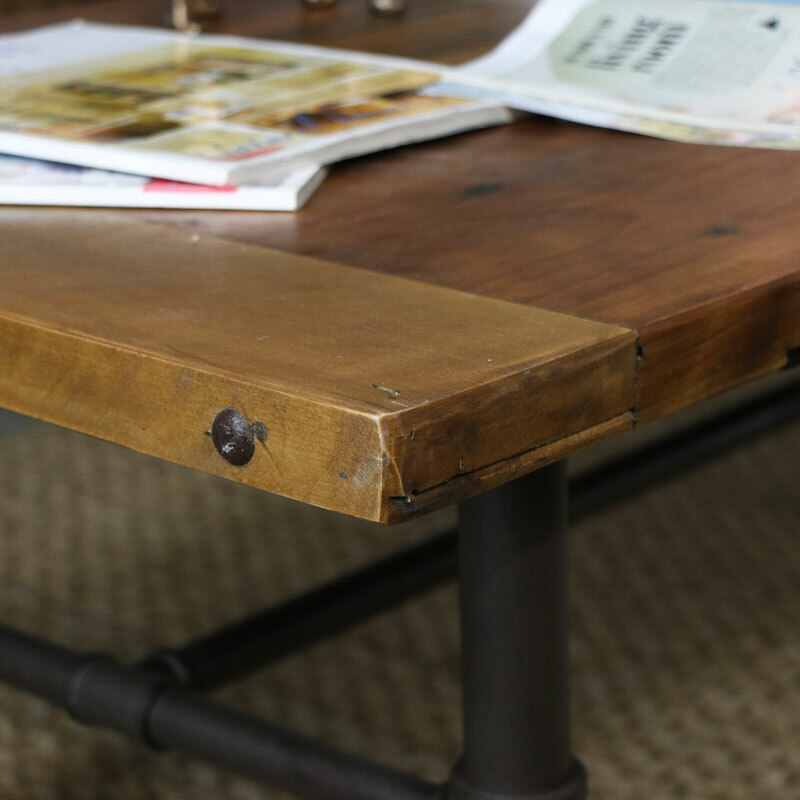 Add some rustic chic to your living room with this fantastically retro, industrial style coffee table. 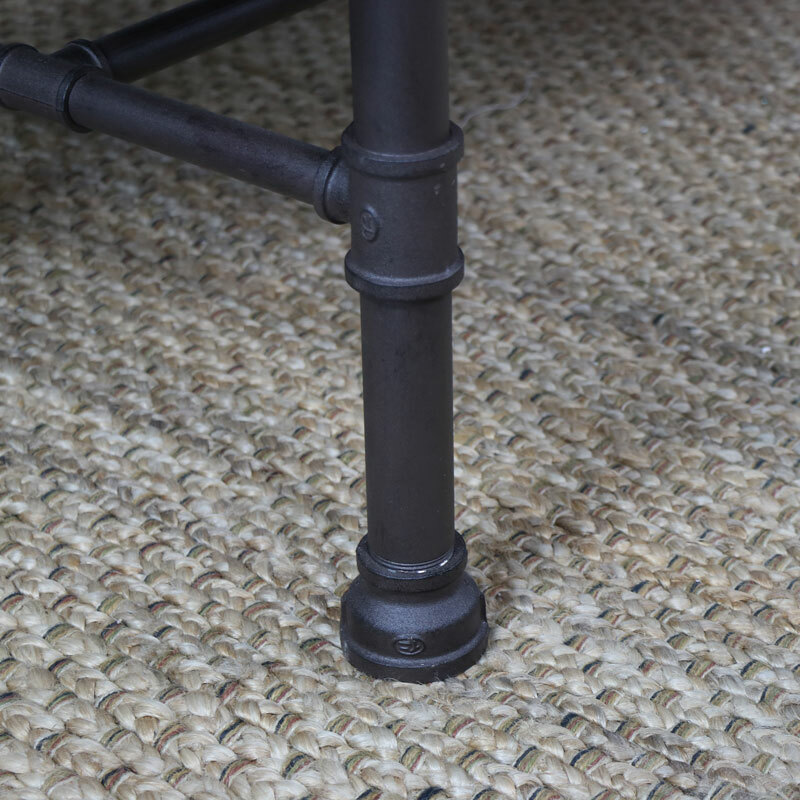 Perfect for taking centre stage in your living room, this table has plenty of character. Combining retro and contemporary styling, this table with it's substantial design will offer the perfect place to put your tea or coffee with plenty of room to add a little decoration or display. 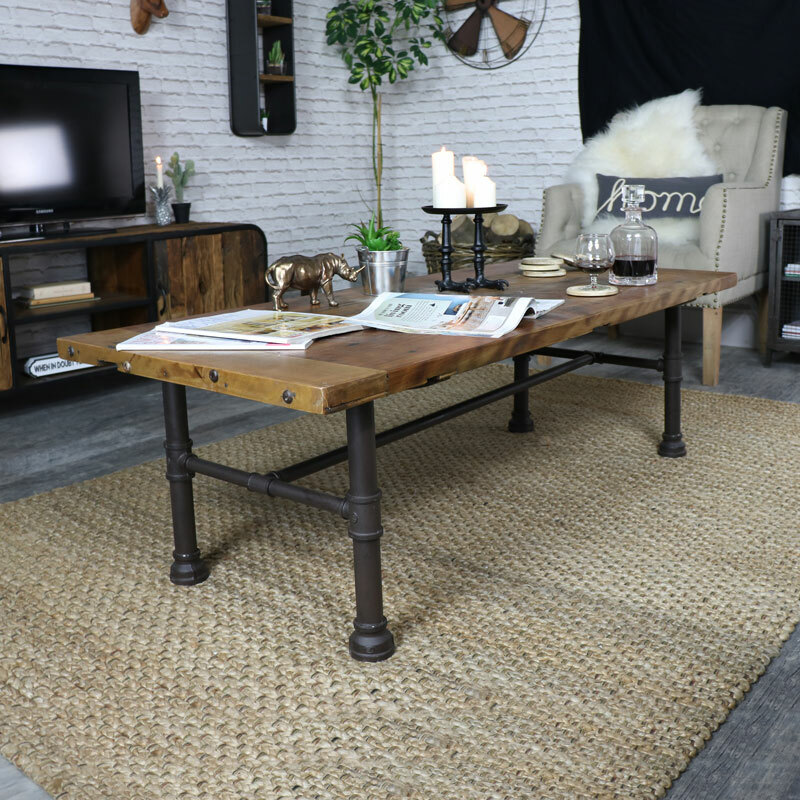 In a minimalistic design with wooden tabletop sat on metal legs in an industrial look, this coffee table will look perfectly at home in an urban loft living setting. The top is made from wood in a rustic natural brown finish with the legs made from iron in a black/brown finish. This table requires some assembly, just attach the tabletop to the legs and your all set (fixings are included). A wonderful addition to our growing range of fabulously retro, industrial and rustic furniture. For all those that love the quirky and unusual, this style will add a uniquely different look.